2015 Carmel Highlands Chipper Days! 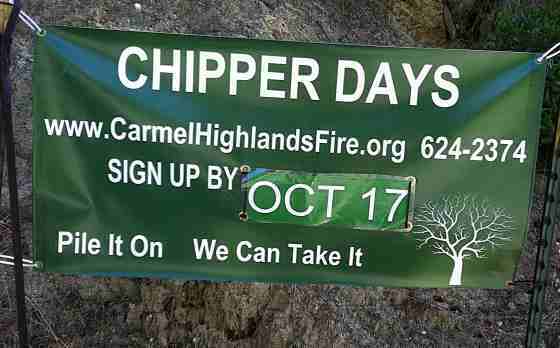 The Carmel Highlands Fire Protection District's Chipper Days are here again! This fuel reduction program is free to Carmel Highlands residents. All appropriate vegetation must be placed on the roadside in front of the residence no later than June 5. Highlanders must sign up for the chipper program. To sign up and for more information, go to carmelhighlandsfire.org. 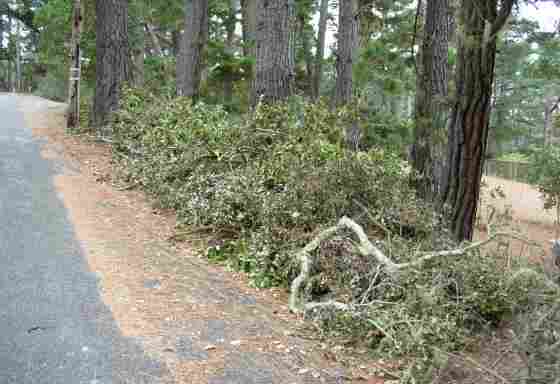 The Carmel Highlands Residential Chipper Program afforded Highlands residents three opportunities to remove brush and keep their property Defensible Space compliant. The program was made possible by a grant from the California Fire Safe Council and the Fire Safe Council For Monterey County, acting as fiscal sponsor. 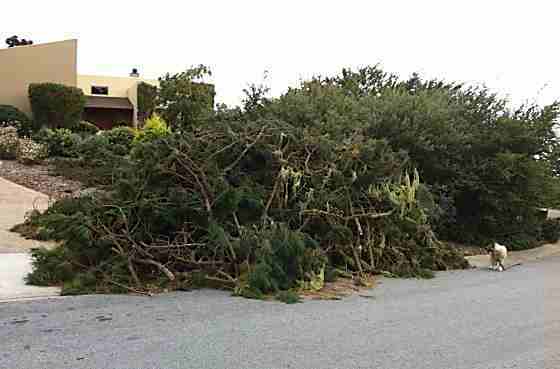 Chipping dates in June and October 2011 and May 2012, resulted in 211.5 tons of green waste and provided recycled chips on private property per owner's request. 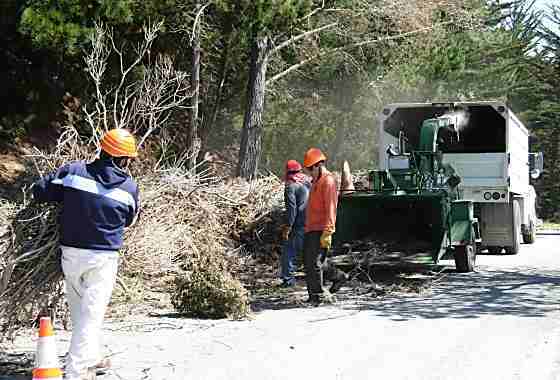 More than 377 residents participated in the Chipper Program. They said, "Pile It On, We Can Take It!" Your support today may prevent wildfire tomorrow! The Fire Safe Council For Monterey County is a non-profit 501(c)(3) tax exempt organization. Your contribution is tax-deductible, as allowed by law. Please note, we may only solicit donations from California sources, though we may accept donations from anywhere. See the calendar for the date, time and location of meetings.